After some debate, I decided to plump for a pedal box to help the lethargic response I feel the car has. I feel the car has adequate "go" for its type, but it takes more pedal mashing than I like to get it there. Using Sport drive mode helps, but does hold onto the revs longer than I like with smaller throttle inputs. 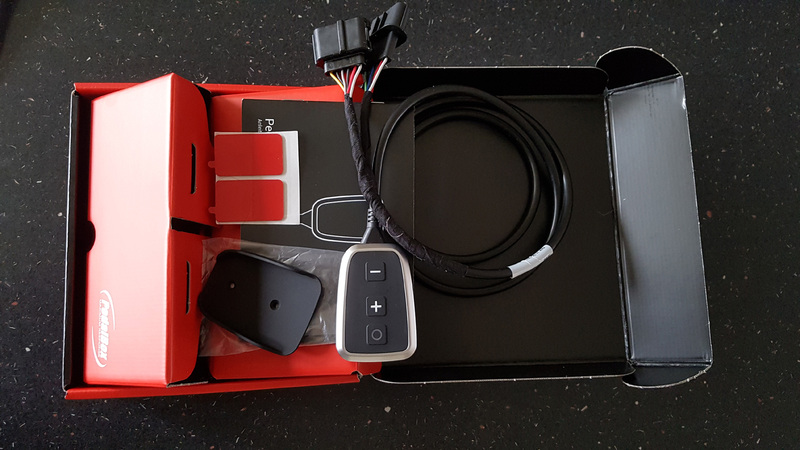 I had considered the Racechip XLR box, but that has a larger box and a separate control, being as I prefer discrete when it comes to my cabin, the DTUK box was the obvious choice. 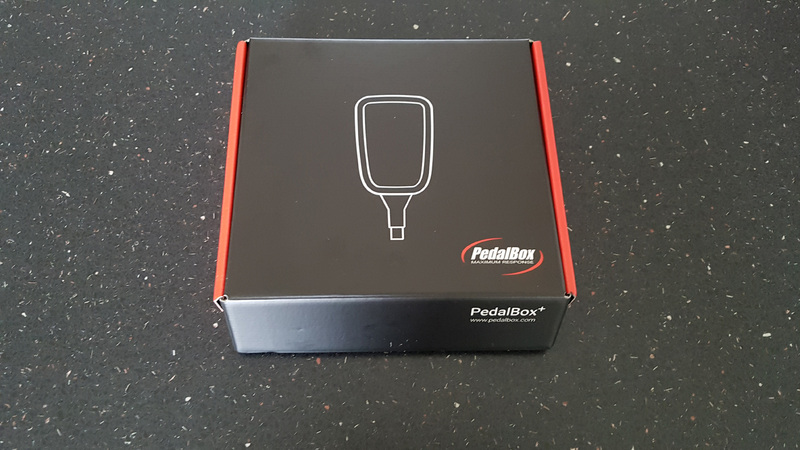 That and with Brisky discount the Pedal Box + was a smidge cheaper, and the company is UK based so easier to deal with if any problems arise. A quick read of the instructions and off I went to the Kodiaq. 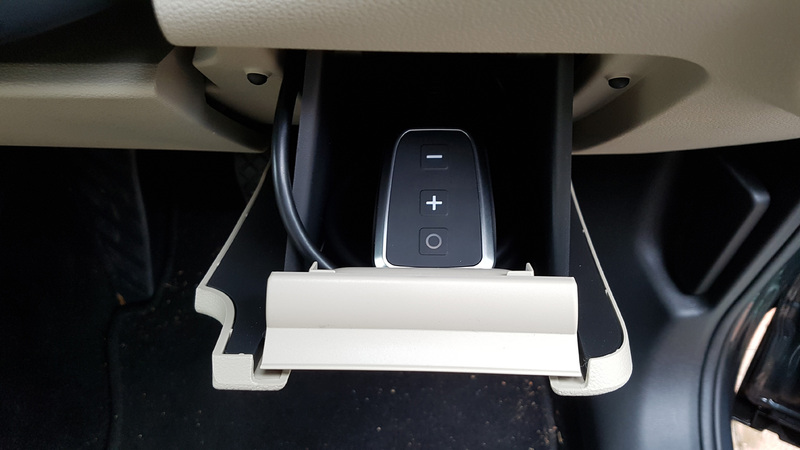 The connector on the throttle pedal is a bit awkward to see, but thankfully Skoda saw fit to put a little storage tray in just the right place to make access and vision easier ! Hold up the clip (above my finger) and the tray drops down to allow access. 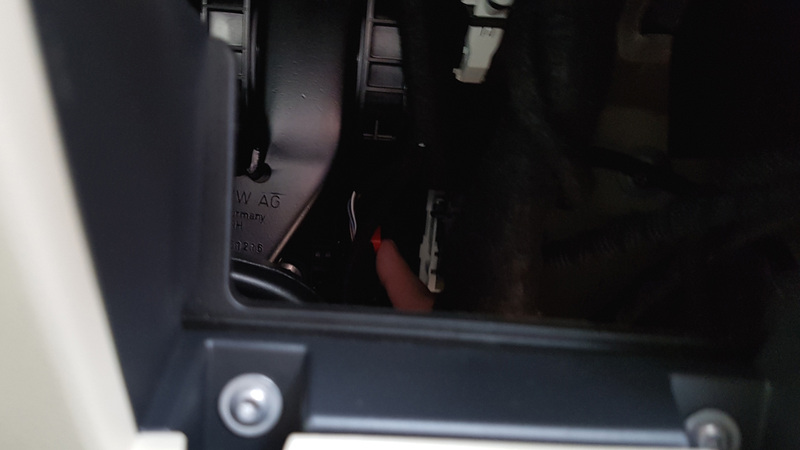 You can just make out the red clip on the connector in the picture, this needs to be slid up and then pressed in to allow the connector to unplug. 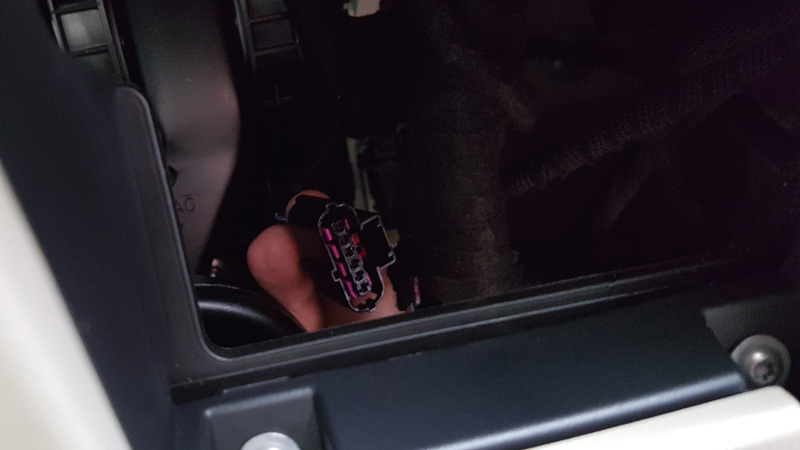 The unit has two connectors, one plugging into the pedal were I just took out the stock connector, the other plugs into the stock lead (they are male/female so its impossible to get mixed up). This is the stock connector that the other part of the pedal box plugs into. I ensured all the plugs were tight and locked, and routed the cable into the storage tray, along with the pedal box. I calibrated the throttle to the unit (hold down plus and minus for 3 seconds then move throttle from off to full a few times, and then press mode button) and set off to test, For the first couple of miles I left it at stock, then started to have a play. The unit offers 4 modes: Stock, City, Sport and Sport Plus. Each of these is fine tuneable plus or minus 3 increments. After some playing about I settled on Sport mode with no adjustment. The throttle response and DSG now feel much better and react more in keeping with what you are asking. The beauty is, with the modes and fine adjustments, you get to tailor the response just how you like it. The best way I can describe it, is the stock pedal feels like the first 1/2 of travel is only giving you 25%, with the pedal box it feels a lot more linear and natural. Superb 280 4x4 Sportline in Black Magic. Hi thanks for the post, I am this thinking of getting one of these and it is useful to know how simple it is to fit. You mention a Brisky discount, where do I get that from? The 'DARK SIDE' AKA Briskoda. My RaceChip XLR was a doddle to fit. So I assume the DTUK one is the same. I prefer to have the adjustment visible and to hand and there is an ideal place to hide the 'brain' of the XLR. That is why I went for it. I didn't fancy the 'brain' and control all in one, as in the DTUK as apart from which the DTUK cable is very thick as it is 'brain' & control all in one. The XLR control cable is much thinner and easier to hide. When I took mine in for it's birthday service yesterday I left the XLR installed but reset it to 'standard'. They made no comment about the XLR and it was at the same setting when I got the car back. 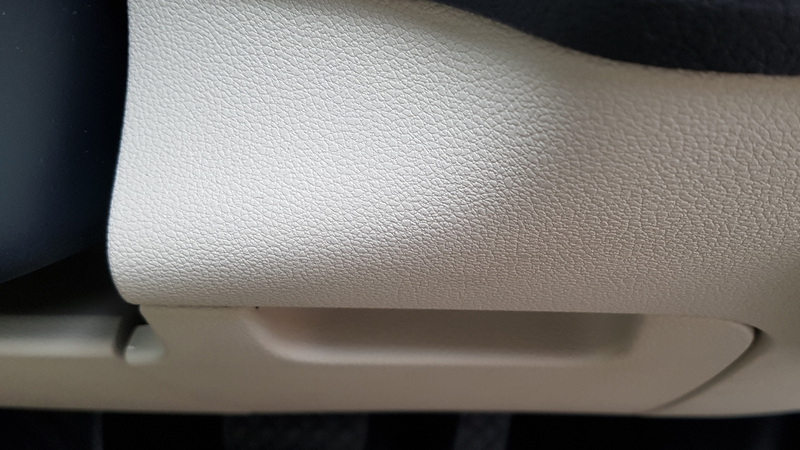 I assume therefore that they did not discover it was fitted. I also described the throttle lag and the solution, in detail to one of the directors and he made no adverse comment. He said he had not noticed the throttle lag although he is currently using a 1.4 DSG. (I don't think he is as much of a petrolhead as some of us are! Just thought those of you have have it fitted and may be worried about the Warranty, might like to know. I was sooo close to getting one, after I polled a few fellow board members here. But then the missus made a good point. I jump ship nigh on every year for car insurance to get a better deal. When you apply for insurance they often ask if you have modified the car in any way. I fear answering "yes" will lead to a lengthy dialogue where I have to explain that it doesn't improve engine performance. Only for this process to repeat itself the next year when I jump insurer again. And answering "no" may just lead to underwriters declaring any claim null and void. They'll jump at any excuse to not pay out. In the end I like the easy life and decided to leave the Kodiaq "as delivered". As mentioned in other posts; it's not my main mode of transport. So it's easier for me to put up with the lag when I do drive the K.
I am new to the forum and will take delivery of my fully loaded 2018 2.0 TDI 140Kw Style on Wednesday. 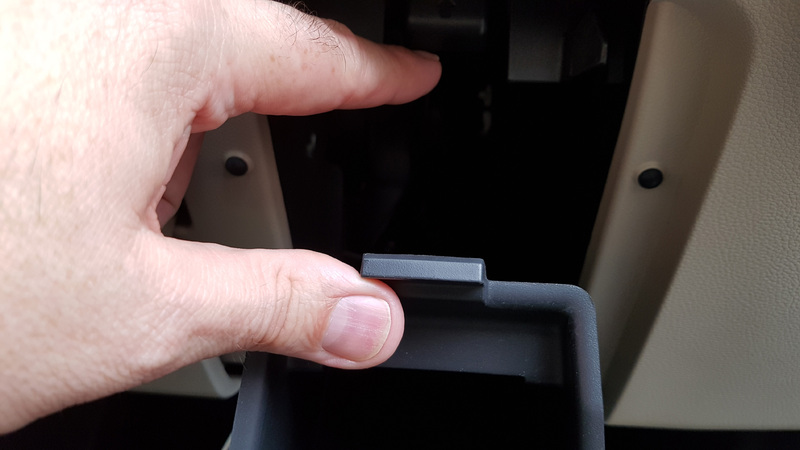 Does anyone know if the 2018 models of Kodiaq also suffer from pedal lag, or has this now been "tuned out" of the system but Skoda?